Rajeev is the Co-Founder/ Environmental Director of KTK-BELT project. He is a graduate of Brown University, the New York University School of Law and has recently received a Masters in Agriculture at Cornell University. He is a lawyer, activist, rural-development worker, and former Peace Corps volunteer. Between 2008 to 2011, he was the national coordinator of the Push for Peace Corps Campaign. He is the author of ‘The Springs of Namje’ . 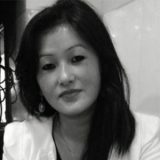 Priyanka Bista is the Co-Founder and Design Director of KTK-BELT studio. She's currently leading the design and planning arm of the project where she's working collaboratively with rural youth from marginalized socio-economic backgrounds. She's previously held the position of the Senior Architect and Planner at CMAP, Nigeria, where she worked on participatory mapping, planning and design projects in informal settlements of Port Harcourt. Additionally, she has worked for over three years at Diamond and Schmitt Architects in Toronto, most notably, her contributions were made towards the design of the Centre for Green Cities in the Don Valley Brickworks Revitalization project, New Brunswick Museum, and the National Arts Centre, Ottawa. Her work has won numerous awards including, What Design Can Do Climate Action Challenge 2017, the Energy Globe Award 2017 and the SEED Award for public interest design 2017, UIAA Mountain Protection Award 2015, Holcim Award for Sustainable Construction 2014. Dr. Jules White is the Technical Director of KTK-BELT. He is an Assistant Professor of Electrical Engineering and Computer Science at Vanderbilt University and the Art Editor of the American Center for Artists. He has been volunteering on the Bhedetar project since 2003 as a donor and strategic advisor. He is supporting KTK-BELT with innovative integration of GIS and Android technology into village knowledge management systems. Scott was the Treasurer of KTK-BELT and also a co-founder of Phul Maya Foundation, a 501(c)(3) non-profit based in Vermont. He was the founding partner and an attorney in Biggam, Fox & Skinner law firm for over 20 years. Before becoming a lawyer, Scott served as a Peace Corps volunteer in Nepal from 1964-1966 and had continuously engaged on charitable projects in the country since that time. Scott and his law partner Pat Biggam have fundraised and helped build five new primary schools in Bhedetar, numerous libraries, and water infrastructure projects. Varun Saraf is the Chairman of the Saraf Foundation for Himalayan Traditions and Culture and founder of numerous social impact and business ventures. 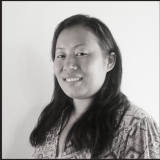 Shirine holds a Bachelor of Science in Biology from the George Washington University and comes to us with over ten years of experience in science education. She is primarily based in the United Arab Emirates and her experience includes work with academic publisher, McGraw-Hill Education and the World Wide Fund for Nature ( WWF), where her focus was environmental education and citizen science. She is incredibly passionate about the environment and believes the only way to live harmoniously with nature is to provide people with the appropriate tools and knowledge to do so. 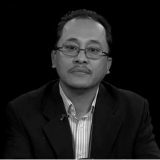 Tula Bahadur Kandel is a practicing attorney in Nepal Since 2000, he has served as an advocate of the court. Mr. Kandel completed his LLM from Kathmandu School of Law. Beside his legal practice Mr. Kandel has worked as consultant to various national and international organisations and also worked as a project director on a project of Nepal Bar Association and Canadian Bar Association in support of the First Constitutional Assembly of Nepal. Mr. Kandel specializes in establishing businesses for foreigner entities and immigration law. He has worked for numerous NGOs and INGOs on human rights and other issues. Shankar is a qualified member of Association of Chartered Certified Accountants (ACCA, UK). He also possesses a Bachelors degree in Business studies from Tribhuwan University and currently is pursuing his Masters. 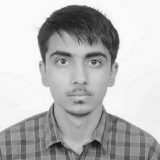 He has over three years of experience in an Audit Firm, R.K. Associates, Chartered Accountants, as a Senior Auditor handling the accounting assignments & conducting the internal/external audits of various organization having diverse goals including some NGOs/INGO/ Projects such as Shanti Med Nepal Switzerland, Nepal Soka Gakkai International, Kiran Namaste Nepal & project audits carried out by Kathmandu University with collaboration with different consortium partners and audit of “Revenue Administration Support’’ (RAS) Project carried out by GIZ. 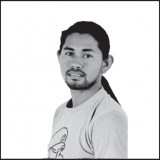 He is wildlife enthusiast and researcher currently working on Lumbasumba project. 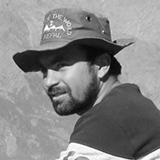 Holding a master’s degree in Environmental Science from Central Department of Environmental Science, Tribhuvan University and previous experience in the wildlife studies at different elevational gradients of Nepal is fundamental source of competence to achieve a wildlife conservationist and researcher position in this organization. Assisting in two PhD studies particularly on dietary analysis of herbivores and carnivores species, worked and volunteered in organizations like NTNC and WWF has enhanced his capabilities and further motivated to acquire in-depth knowledge on faunal diversity. 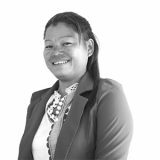 Shanta Banstola, originally from Jhapa district, holds a Master’s Degree in Environmental Science from Central Department of Environmental Science, Tribhuvan University with major Integrated Water Resource Management and Pollution Control Technology. Since 2015, she has been involved in the field of application of Geographic Information System (GIS) and Remote Sensing (RS) in the sector of environmental science in Central Department of Environmental Science, Tribhuvan University and WRPPF, Department of Irrigation. She is interested in research related to environmental analysis and modeling. Besides this, she is also interested in disaster, ecology and water resource analysis. Pema Lamu Bhutia, originally from Chepuwa VDC, Sankhuwasabha District, holds a Bachelors in English from Bundelkhand University in Jhansi. She has worked as an assistant teacher at Clifton Hall Boarding School and Kamalodaya Academy School. As KTK-BELT’s Administrator and HR Coordinator, she brings rigor and professionalism to the workplace. 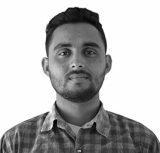 Mohan is currently working on the Lumbasumba conservation project as an ecologist. 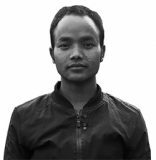 He is originally from Syangja district with a master’s degree in Botany with specialization in 'Ecology and Resource Management' from the Central Department of Botany, Tribhuvan University. He is interested in research related to endangered plant species, use and harvesting patterns of wild plant resources, local ethnobotanical knowledge, impact study and management of invasive plant species, climate change and conservation. He holds 5 years' experience in long-term vegetation monitoring, biodiversity conservation, invasive alien plant species, documentation of ethnobotanical knowledge and other aspects of ecology. 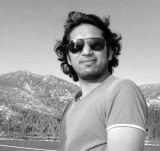 During research projects, he has worked in various districts across Nepal including the Terai Arc Landscape (TAL), Chitwan Annapurna Landscape (CHAL) and Kailash Sacred Landscape (KSL). 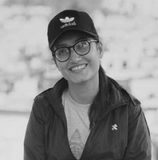 Ganga Limbu, a 23-year-old girl, was the first youth fellow of KTK-BELT working in the areas of participatory mapping, social research, and environmental education. Today, she serves as a full-time staff as an IT, GIS, and Landscape design officer. She graduated in Bachelors of Education in Mahendra Multiple Campus, Dharan. She was born in a large family in Mukten village of Bhedetar VDC. Since she was young, she has received scholarships from Phulmaya Foundation and most recently received a scholarship for her Bachelor's degree. She’s currently living in Satisale village, Yangshila. Along with doing research in conservation, she is fluent in ArcGIS, QGIS, AutoCAD, Sketchup, Adobe Premiere, Adobe Suite and other software. A community member of Yangshila VDC, Kumar Bishwakarma is a dedicated fourth grade teacher, medicinal plants expert, and a passionate environmentalist. In 2013, under his leadership KTK-BELT’s local partner, YPLG was formed as a non-profit company. He has been voluntarily working for the cause for 2 years to mobilize the community, build the land assets for the project, and tirelessly work towards bridging the gap between conservation and education. He is a trained permaculture designer and an advocate for children and science education. Durga Kattel, a 25 year old male from Satishale village, has been volunteering with KTK-BELT for the past few weeks. He is a full-time teacher in Jansewa Primary School and a steering committee member of YPLG. He has a bachelor's degree in Education. 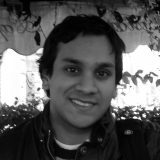 His current work is focused on designing, developing and conducting household surveys in communities where YPLG and KTK-BELT are currently working in. As a social research fellow, he will be working on developing a participatory research and design programme to employ various tools to enable community participation in the design of the different learning grounds. Sanam Pradhan, a 28 year old married youth with two young girls is from Yangshila VDC and will be working as the alternative energy and construction fellow. He has his SLC certification and technical trainings as electrician from Alliance for Social Mobilisation, a certification in computer course and driving. He will be operating the community building workshop which will house laser cutters, power tools and building materials. He will be working with us to design and build the Sikti Plant trail and Pragati Chowk plant workshop. 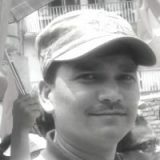 Suman Bishwakarma is a resident of Dharan-6, Panbari. He is a 22-years old young professional holding a Bachelors in Accounting. He has previously worked as a science teacher. 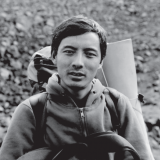 Karma Bhutia is an advisor to KTK-BELT and the founder of Sankhuwasabha Learning Grounds. He is currently a Program Director at The Mountain Institute. He holds a Bachelor degree in Social Science and has over 15 years experience in community development and natural resource management. For the last 5 years, Mr Bhutia has been working on the MAPs cultivation techniques and has empowered 2000 individual farmers to double their income through this technique in Illam district. 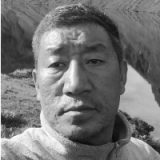 He will be closely working with our agriculture team, in particular Wangchu Bhutia, to train local farmers in medicinal plants cultivation. He will be working directly on the BELT campaign by expanding the project to Sankhuwasabha VDC. 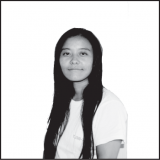 Wang Chhedar Lama is currently working in Lumba Sumba conservation Project / Sankhuwasabha learning ground (SLG) as district coordinator From March 2018. He is originally from Sankhuwa Sabha district Bhotkhola -4 (Siprung) with a bachelor degree in Education and an ongoing Master degree on Rural Development faculty From Dhankuta multiple campuses. He has work experience of 17 years on Climate change, Forest management, write up OP/constitution of CFUG, Forest inventory, GIS/GPS, Good Governance, Biodiversity and environment conservation sector. During his project period, he has worked in the very remote area of the different district (Solukhombhu, Taplejung, and Sankhuwasabha). 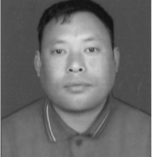 Tsering is a 28-year-old energetic youth from Pawakhola. Currently, working as an office helper in a local school, he is an enthusiast of learning and exploring new things. He has been practicing pastoralist in higher elevations of Pawakhola since his childhood and well known about landscape, flora, and fauna. His role is to give technical assistance in camera trap setting and wildlife monitoring. Khija Bhote, a 53-year-old social worker from Chyamtang village in Sankhuwasabha, is the Secretary of the Chomolungma Community Forest User Group. 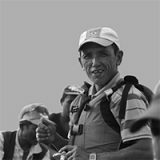 Mr. Bhote is well known for his contributions to society, culture, landscapes, and trail building in his native Chepuwa VDC. 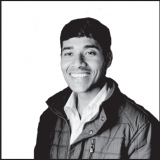 He has worked as a social mobilizer for the Upper Arun Valley Development and Conservation Society and as a social mobilizer in Lumbasumba Conservation Project. Kamala Rai, originally from Chasuwatar, Pawakhola is a Youth Fellow at KTK BELT. She has an experience over 8 years as a social mobilizer in FECOFUN and also worked in a field of women empowerment program for 18 months and natural resource conflict transformation program for 6 years. Mrs. Kamala is more interested in documentation of local culture, flora, and fauna. 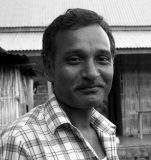 Lokendra Bahadur Yakha, a highly skilled farmer and local leader, is the Chairman of Tamur Learning Grounds. In 2015, he became a spokesperson for Climate + Change, raising awareness globally about devastating localized impacts of climate change on spring systems in the middle hills of Nepal. 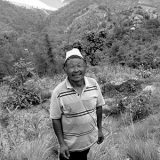 Mr. Yakha is also an indigenous leader of the vanishing Yakha ethnic group of Nepal, and is trained in permaculture design. Anila is originally from Yangshila. Initially, she started working as a construction worker in the CSEB project. Currently, she is studying for her bachelors in accounting as well as working as the accounting fellow of Tamur Learning Grounds. Additionally, she also works for VBF as the Marketing Officer. 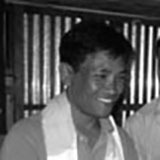 Dandu Dhokpa, originally from Papung, is the former Vice President of NEFIN. He is the founder of the Topkegola Welfare Society and holds more than 20 years of social and volunteer experience on behalf of the community. He currently serves as a council member of the National Foundation for Development of Indigenous Nationalities (NEFDIN) Chaired by Prime Minister, President of the Environmental Coalition of Indigenous Nationalities (Network), Executive Member of the Segyued Buddhist Monastery Kathmandu, Advisor to the Sodhu Pokhori Conservation Committee Taplejung, and Executive Advisory Board Member of the Forest Carbon Trust Fund (Funded by Norad). Mina Kumari Rai was born 14th Oct 1991 in Yangshila Morang. As a young female, although she faced many hardships, with support from her late father she pursued a career in finance. She holds an MBA degree and a Bachelors in Finance from Tribhuvan University. She has been working diligently, with passion, energy, and integrity as YPLG's finance fellow and now VBF's accounts officer. 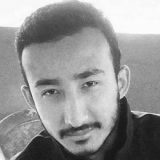 Mr. Abhishek Bishwakarma is a young and energetic person from Budhagaon - 3, Rolpa. He worked for a year in Dwarika’s Himalayan Shangrila Village Hotel Resort farm called Eco-Organic Farm Pvt. Ltd in Dhulikhel. He gained practical knowledge from the experience and training there. He has also worked as an agriculture technician at Eco-Organic Farm Pvt. Ltd. He is currently working as An Agriculture Fellow in the Vertical Biodiversity Fund. 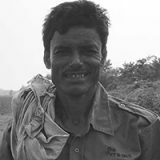 Hiralal Sardar is a 51-year old dedicated forest guard who comes from Paschim Kushaha in Sunsari district. He is the sole guardian for protecting the 40-acre Paschim Kusha Biodiversity Sanctuary. Belonging to a humble background without any formal education Mr. Sardar has grown up working as a farm hand on others’ farms and transporting goods by ox cart. However, after being a part of the Koshi Tappu Conservation Project he is very excited to work as a guard and protect the habitat from any human interference. It is his first venture in the conservation field. 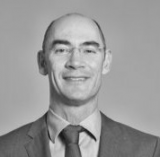 Mark has been active in the impact investment space for the last 18 year both at Oxfam Novib as head of the financial services unit and as a co-founder of Triple Jump where he served as a managing director for more than 10 years. Triple Jump is providing loans, equity, and advisory services to financial institutions and funds in more than 60 developing countries. 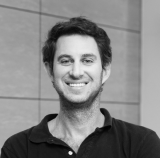 Currently, Mark is on the board of two financial institutions in these countries and is, in addition, advising on the structuring of impact funds in the renewable energy and smallholder farmer space. 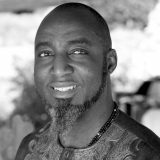 Adewale Ajadi is a facilitator, coach, and change agent with over twenty years of experience working with people, organizations, and communities. He is a qualified barrister and holds an MSc in international business economics. He recently led a program to reduce the incidence of mass violence in the Niger Delta, Nigeria. He delivers leadership training for the African Leadership Center in Nairobi. He developed the Framework for Excellence in Equality and Diversity (FEED), an international framework for organizations engaging the complex challenges of equality and diversity. He is currently the Country Director for Synergos in Nigeria, an institute dedicated to developing effective, sustainable, and indigenous solutions to global poverty. William Thatcher Dowell is a renowned author, journalist, translator and editor/producer. 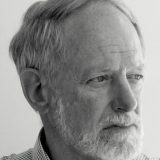 Between 1989 to 2001, Bill served as a correspondent with Time Magazine, where he was the Southeast Asia Bureau Chief from 1995 to 1997, based in Hong Kong. He spent 14 years in the Paris Bureau as a contract stringer, and prior to that was a TV correspondent for ABC News and NBC News, where he reported on and Associate Producer of NPR's "All Things COnsidered." Bill is the co-authored of In the Shadow of the Dragon, with Winter Nie at IMD. Most recently he was the co-editor of The Essential Edge. Christie Pearson is an artist, architect, and writer living in Toronto. She works in collaboration with choreographers, composers, dancers, djs, sound and visual artists to create multi-disciplinary urban events such as Fire on the Water at the Sunnyside Bathing Pavilion; Nightswim at Toronto’s inaugural Nuit Blanche; the performance Slip at Harrison Baths; and the Wade festival of installation and performance art in outdoor pools. She created Thewaves to create events exploring water, sound and architecture. 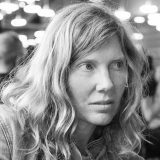 She is a founding member and editor of the journal Scapegoat: Architecture, Landscape, Political Economy where she co-edited Night and Eros. Her architectural work includes significant cultural and community spaces for organizations such as the University of Toronto, the City of Toronto, the Media Arts Resource Collective, Kitchener Public Library, Native Child and Family Services, and Eva’s Phoenix. 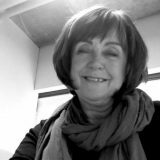 Since 1989, Masha Etkind has been a professor in the Department of Architectural Science, Ryerson University where she teaches Design, History, and Theory of Architecture. Masha’s focus and area of expertise within the Department are Heritage Conservation: Theory and Practice. Before teaching at Ryerson, Masha worked with D. Malik Architects and Planners, and J. Michael Kirk and Architects; she also worked in France, Russia, and the USA. 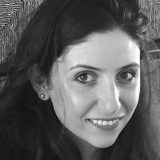 She is also an Adjunct Professor and a leading partner in the joint annual design studio at Azrieli School of Architecture, Tel Aviv University, Israel. Dr. Gregory B. Greenwood, a natural resources specialist trained in agricultural ecology, population ecology, and ruminant nutrition, is Executive Director of the Mountain Research Initiative (MRI) in Berne, Switzerland. His mandate is to develop a strategy to increase and focus global change research in mountain regions throughout the world as part of IHDP and IGBP programs, and as a policy objective of the Swiss National Science Foundation. 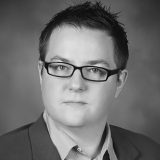 Greg Greenwood was previously Bioenergy and Climate Science Advisor for the California Department of Forestry and Fire Protection and Deputy Assistant Secretary for Resources/Science Advisor for the California Resources Agency, Sacramento. 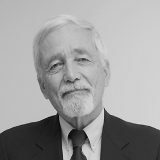 He has extensive experience with and publications on land use development and ecology, including global change in mountains. Jay R. Halfon is a practicing attorney and public policy strategist. He represents tax-exempt organizations, including public charities,private foundations, advocacy groups and political entities. He has a broad range of experience influencing public policy in both Congress and state legislatures. Mr. Halfon served as executive director and general counsel of the New York State Trial Lawyers Association from May 1998 to December 2001. 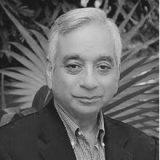 Previously he was executive director of the New York Public Interest Research Group (NYPIRG) for a decade ending in 1997. He serves on the Board of numerous foundations including 350.org. 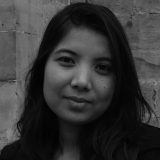 NayanTara is a photographer, curator, and arts manager based in Kathmandu, Nepal. Her work seeks to embrace themes such as change, identity, gender, and history within the context of ‘the New Nepal’. She enjoys working across platforms to connect visuals, sound, research, education, activism; using storytelling as an underlying approach. 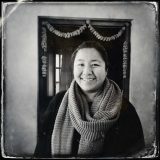 In 2007, she co-founded photo.circle, a photography platform that has facilitated learning, networking, publishing, marketing and other opportunities for Nepali photographers. In 2010, she co-founded the Nepal Picture Library; a digital photo archive that strives to document a ground-up history of the Nepali people.